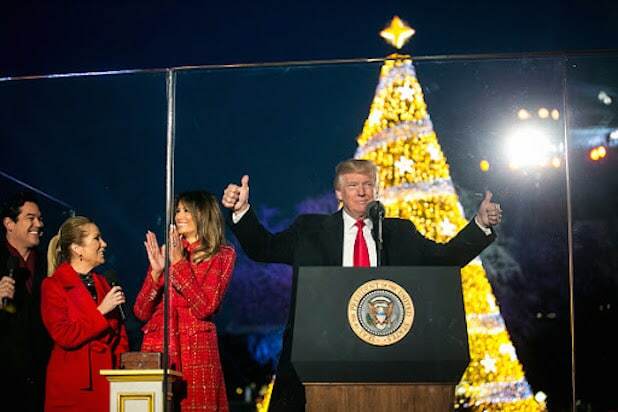 President Trump, instead of channeling his inner Kevin McAllister and enjoying being “all alone” in the White House on Christmas Eve, is blasting Democrats for refusing to give him the one gift he really wants: a $5-billion border wall. President Trump and congressional Democrats have been unable to reach a budget agreement, pushing the government into a partial shutdown that reached its third day on Monday. Trump has demanded funding for the border wall — which he said would be both “beautiful” and “totally effective” at blocking illegal migration last week — be included in any budget that’s approved. Trump’s tweet on border security was part of a larger thread on Monday morning, with the president touching on everything from the war in Syria to a report he “lashed out” at acting attorney general Matthew Whitaker. The president also skewered the Federal Reserve, saying it “doesn’t understand” his policies — leading to the recent market downturn. The Dow Jones and S&P 500 both recorded their worst Christmas Eve trading day ever on Monday.